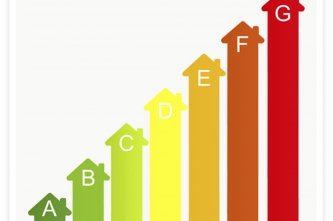 As of the end of September 2015, heating systems in Europe have an Energy label. This means great opportunities for energy efficient HVAC systems. Are you aware of the benefits of using OpenTherm? The labelling system gives users a reliable indication of the energy efficiency of products. Similar to the mandatory sticker on domestic appliances, this label will be a decisive factor in the purchasing considerations of customers. It is therefore essential for manufacturers to score the highest possible efficiency class. 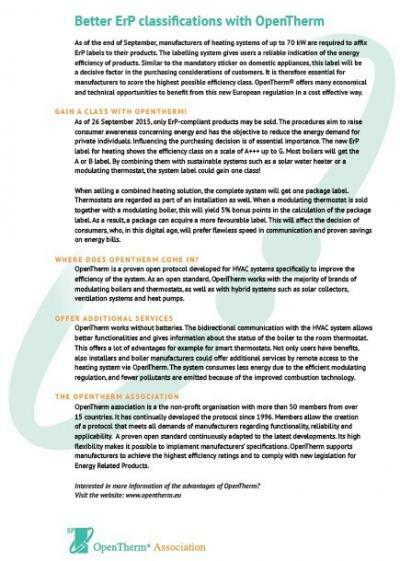 OpenTherm® offers many economical and technical opportunities to benefit from this new European regulation in a cost effective way.